What is the purpose of a 5 tread Cupped Feet Safety Step? 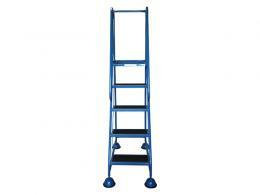 This 5 tread domed feet safety step is one of the taller products in our selection of glide along options. 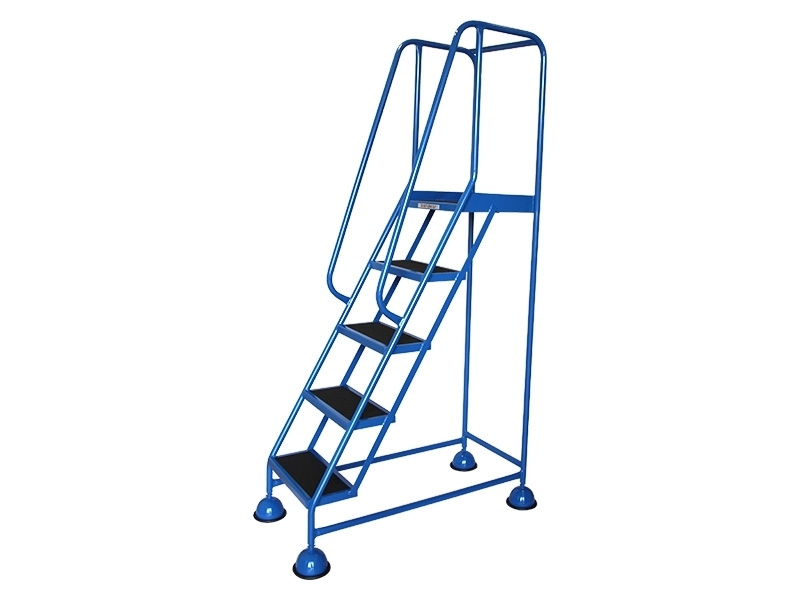 If you are looking for a mobile safety step that will offer stability safety, ease of movement and a good bit of height, then this could be just the product for you. It is easy to move and can be used to make a variety of projects simpler and easier to complete. 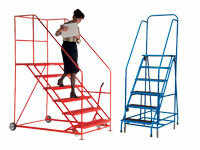 Where can these light industrial safety safety steps be used? Although this item looks attractive, it is built to be able to withstand the harshness of industrial environments such as warehouses, garages and more. Because of this, there are not many places where this item cannot be used. It is also great for less intense environments such as homes and schools, it makes a great office safety step too. 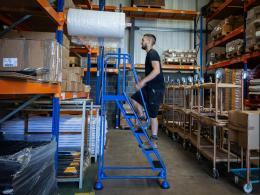 Who might use these Cupped Feet Safety Steps? Anyone who needs a great glide along with plenty of height will be able to use this item. It is great for variety of industrial workers, but it is also great for people who like to work on do-it-yourself projects. There are no limits to how this mobile step can be used, and there are no limits to the people who could find it useful.